For awhile there, it seemed that the Inland Northwest had become a hotbed of color runs, mud races and other oddly themed fun runs that sought to encourage all ages and abilities to come out and hit the course. Back in 2014, when we ran this story for InHealth magazine on the trend, there were many alternative races like this on the calendar, only to die down the following year. But this May, a new race that incorporates the same "running is fun and accessible to all" theme, called the Insane Inflatable 5K, is coming to town. 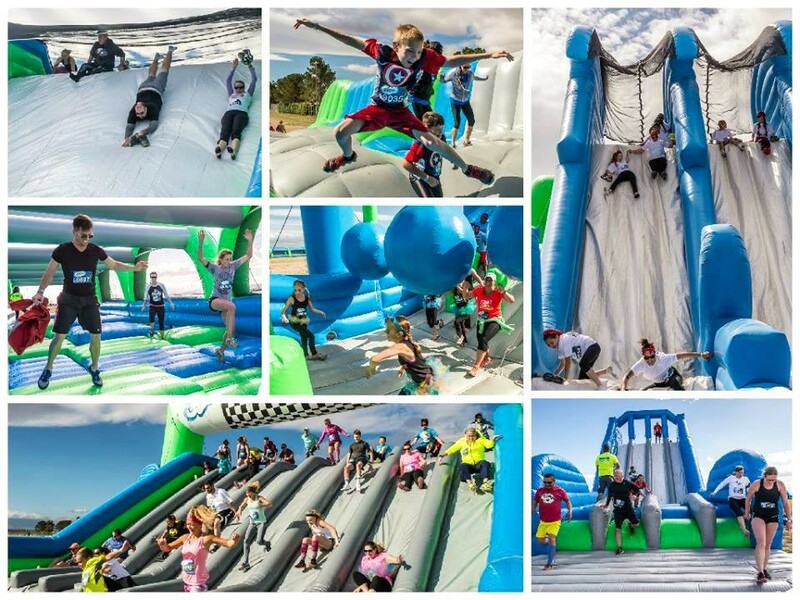 Rather than coat participants in powdered dye or mud, this race, as its name implies, incorporates inflatable obstacles along the 3.1 mile course — each a bouncy castle spin-off with cheeky names: "big balls," "the humps," "the mad house," "mattress run" and "slingshot." Set up along the 5K course, participants can take as long as they'd like in the un-timed event to jog from bouncy obstacle to obstacle. The race's start is divided into waves to avoid what could be a major bounce house traffic jam. Race entry isn't cheap — $49 in advance, and $75 the day of — but a portion of proceeds are going to the Spokane team for the American Cancer Society's Relay for Life. Runners also get a T-shirt and a medal for completing the event. Beyond the race itself, the event offers a beer garden and a festival area called the "Midway" with games, food, merch and more. The Spokane event is set for May 14, at the Dwight Merkel Sports Complex.